Kepware Technologies, a software development company acquired by PTC in January 2016, today announced that it has recently won a series of prestigious industry awards for the advances achieved by its flagship product, KEPServerEX®. The awards signify Kepware’s ongoing commitment to developing the most robust and reliable off-the-shelf software platform for industrial connectivity on the market. 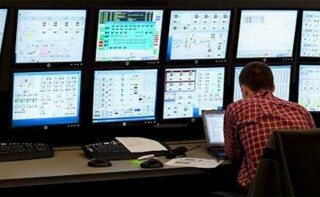 Yokogawa Electric Corporation announces the release of version R3.30 of its Plant Resource Manager (PRM®) software tool for the centralized management of large amounts of data from plant monitoring and control devices and manufacturing equipment. PRM R3.30 is an upgrade to R3.20 and includes an improved management function for HART®* and enhancements to the navigation function. With this new PRM version, Yokogawa aims to capture a larger share of the plant maintenance market. To optimize plant operations, it is essential not only to keep devices in good working order but also to have up-to-date information on device status and maintain records on all maintenance work that is performed. Such information is most useful if operators of control and safety instrumented systems can view it on screen at their human interface stations (HIS). With such needs in mind, Yokogawa has developed new functions for its PRM tool that facilitate the collection of information from field devices for use in optimizing device maintenance and plant operations. Advantech (2395.TW), a leading provider of embedded computing solutions, today unveils its full range of embedded computing platforms with the Intel Pentium/Celeron Processor N3000 Family (formerly Braswell). These platforms comprise of Computer On Modules SOM-3568, SOM-6868 and SOM-7568, Embedded Single Board Computers PCM-9310 and MIO-2030, and an Industrial Motherboard AIMB-216; as well as a Fanless Embedded Box PC ARK-3405. With the Intel Pentium/Celeron Processor N3000 series and Advantech’s exclusive IoT remote management software WISE-PaaS/RMM, these Advantech Embedded products bring value, efficiency and connectivity to embedded computing with essential features that balance cost, performance, and power, making it ideal for IoT, retail, medical, digital signage, factory automation applications. manufacturing process, the latest Intel® Celeron® and Pentium® processor SoCs bring Intel’s latest innovations and processor efficiencies to embedded computing systems. Enhancements include up to twice the graphics performance, and up to 9% longer battery life. Advantech designed its latest series of industrial-grade embedded boards and systems in a wide range of form factors, including the Qseven SOM-3568, the COM Express Compact Module SOM-6868, and the COM Express Mini Module SOM-7568. Other form factors include the 2.5” Pico-ITX SBC MIO-2030, the 3.5” SBC PCM-9310 , the Mini-ITX Motherboard AIMB-216, and the Fanless Embedded Box PC ARK-3405. Powered by the latest Intel® Celeron® and Pentium® processors, each of these devices delivers better, more responsive performance, stunning visuals, and longer battery life – a great leap forward for entry-level platforms. National Instruments, the provider of platform-based systems that enable engineers and scientists to solve the world’s greatest engineering challenges, announced today a collaboration with the Industrial Internet Consortium (IIC) and industry leaders Bosch Rexroth, Cisco, Intel, KUKA, Schneider Electric and TTTech to develop the world’s first Time Sensitive Networking (TSN) testbed. These organizations aim to advance the network infrastructure to support the future of the Industrial Internet of Things (IIoT) and Industry 4.0. To support new digital capabilities, connected manufacturing, designers and users need more reliable and secure access to smart edge devices. Standard network technologies must evolve to meet the demanding requirements of these next-generation industrial systems and improve the way we operate our machines, electrical grids and transportation systems. The goal of this testbed is to display the value of new Ethernet IEEE 802 standards, referred to as TSN, in an ecosystem of manufacturing applications. TSN powers a standard, open network infrastructure supporting multivendor interoperability and integration with new guaranteed performance and delivery. The technology can support real-time control and synchronization, for example between motion applications and robots, over a single Ethernet network. “Testbeds are a major focus and activity of the IIC and its members. Our testbeds are where the innovation and opportunities of the industrial Internet – new technologies, new applications, new products, new services and new processes – can be initiated, thought through and rigorously tested to ascertain their usefulness and viability before coming to market,” said Dr. Richard Soley, executive director of the IIC. Beijer Electronics has launched cost-effective iX TxF-2 series of HMIs, including 5, 7 and 10 inch operator interface panels designed for industrial environments. The iX TxF-2 series offers three cost-effective industrial HMIs with high-resolution touch-screen and modern design. The UL-approved iX TxF-2 panels combine IP65 plastic housing with the full version of the iX HMI Software, making it a cost-effective yet full-featured HMI. All iX TxF-2 panels come standard with Ethernet, serial and USB ports. The iX HMI Software features all basic HMI functions such as alarms, data logging, trends, security as well as more advanced functions. It combines best-in-class vector-based graphics and smart functions that allow for intuitive operation on the spot. iX HMI software guarantees almost limitless connectivity to PLCs and other equipment with an extensive list of more than 70 drivers.